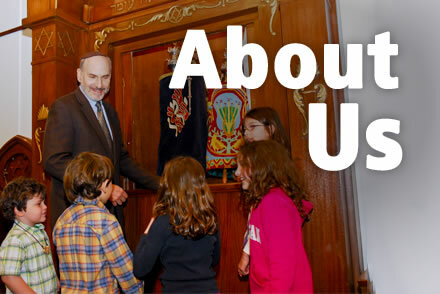 A vibrant and welcoming presence in Skokie, the North Shore, and beyond, the community of Temple Beth Israel opens our doors and our hearts to a diverse population of Reform Jews and their families. Together we learn and pray, share friendships, celebrate life’s joys, support each other through difficult times, and work to make the world a better place. 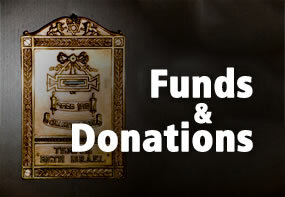 There will be Services on Friday, April 26, 2019 at Temple Beth Israel at 10:30am in observance of 7th Day Passover. This service will include Yizkor and will be followed by a Pesach Kiddush Luncheon. We gather for Erev Shabbat evening worship on Friday, April 26, 2019 at 7:30PM in the Lorge Sanctuary. 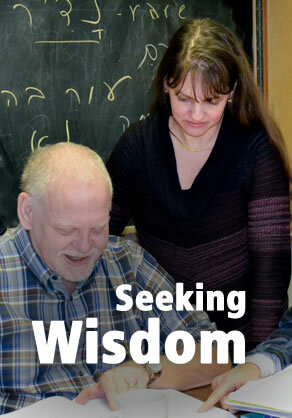 Join with Rabbi Weinberg and TBI members as we meet over the text of Torah and together explore its meaning, Saturday morning 9:00AM – 10:15AM in Rabbi’s Study. Newcomers welcome! Shabbat morning worship will be held in the Lorge Sanctuary on Saturday, April 27, 2019 at 10:30AM. As a reminder, the Temple Office is closed on April 26, 2019. There is Bet Midrash on April 28, 2019. Illinois Dept of Treasury iCash will be available at 8:30AM. The Brotherhood is hosting a Men’s Health Seminar (9:00AM breakfast/10:00AM speaker). Social Action Council will meet at 12:00PM. TBI members and Friends of TBI made the holidays a little brighter for the kids at Herzl school. Channel 7 was there to film. Centennial Celebrations with TBI in the News! A Centennial birthday is a big deal and certainly should be celebrated. 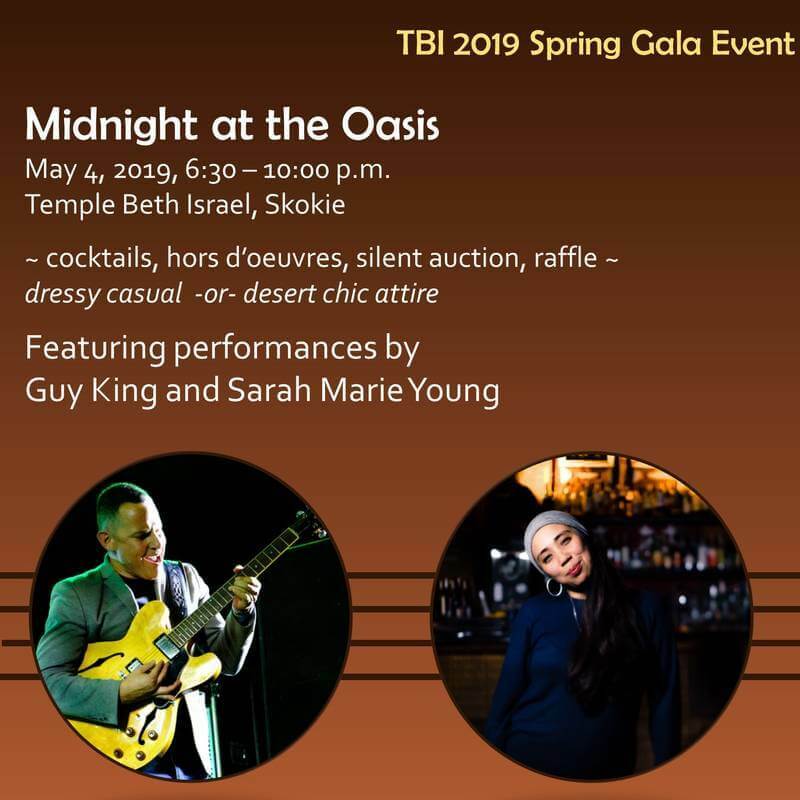 The leadership of Temple Beth Israel has been working on engaging programs and amazing ideas that honor our past and look towards our future, complete with a birthday party on January 31, 2018. Read the news and enjoy Word from the Heart from our fellow congregants. As a community of meaning, our paths intertwine on so many levels. 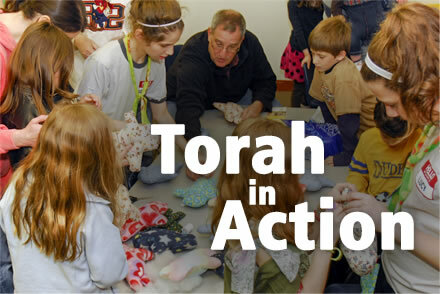 Part of the Centennial Celebration has been inviting members to the bima on Shabbat services. Read the Words From the Heart of our membership, describing their Jewish journey and how their paths intertwine with the TBI family. Have you liked us on Facebook? Did you know that if you find an event on our calendar that you want to attend that you can add it directly to your calendar?